It's the big things that make a person larger then life, but its the small things that command respect. I recently pinged Danny Byrd with a one off question on FaceBook, within the hour I had a thoughtful and direct response to my question. Although the dialog would not have filled up a twitter quota, it unleashed a massive amount of respect for a producer that I've admired over the years. Sometimes its good to meet your hero's as it gives you perspective that they are humans as well. I'm sitting at home sorting through an itunes playlist sorting my music by BMP and Harmonic Key. I'm mildly amused in a weeks time I would be playing out using Serato. Actually, I was totally freaked out. Even though I've never had a problem with Serato or my computer while DJing, I was mentally racing through all the reasons this was a bad idea. However gig was for a friend who really liked my taste in Mash-Up tunes and to my knowledge you can't get many vinyl Mash-Up tunes. [Breathing] I reminded myself it was a small gig at Mid City Coffee Shop in DC. No worries, no stress just dance music and good times. I took my computer to a gig. As I started my set I spent most of the evening starring my computer down willing it not to crash. It was noticed by friends of mine who said I looked very serious while DJing. However that was the only real complaint, the evening was a success, you could even say it gave me back my DJ spark. People dancing and singing, everything you could want at a dance party. What I learned from this event was no one likes a DJ looking at a computer all night. Its a bit like watching paint dry with a lot of bass. So I was hell bent to my hands away from the computer. It was time to find a midi controller but not a mixer that was also a controller. That sounds like a lot of commitment and money for something I'm now sure if I'm going to really get into. A week later I was standing in the Guitar Center at Baily's Cross Road taking with Christin G. my go to guy about musical toys. After some discussion about laptop DJ's, midi controllers and the state of the world economy, he directed me towards the Akai LPD 8. Under the guidelines that it would take a beating and not break my budget as I start tinkering with the world of Digital DJing. Sure nut, it did all that and then more. Plugin, map out, and play. The only tricky part was where to put the controller. After some experimentation it eventually it ended up mounted on the table infront of my mixer. Making it easy to still DJ and fire off cue points. However it also made it easy to fire off cue points with your headphone cable when your dancing about in the DJ booth. FAIL. For the time being I will just have to be careful. Then a few months later while surfing the net with my morning cup of coffee, I found what I was looking for on DJ TechTools. The Novation Dicers, they integrated into current set up with ease, were easy to set up and fun to use. These little cheap controllers are freaking perfect, with a little mapping I don't ever have to touch my computer. 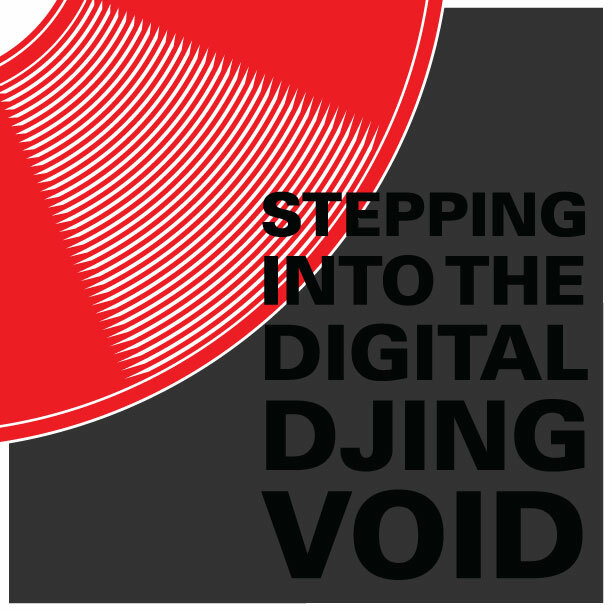 1) Serato and my encoding process has put me back in touch with a lot of music I had not listened to in ages. 2) On that note I've learned more about my records and harmonic mixing as a result of my encoding practices. 3) Do not mix WAV and Vinyl during a set on a large sound system. 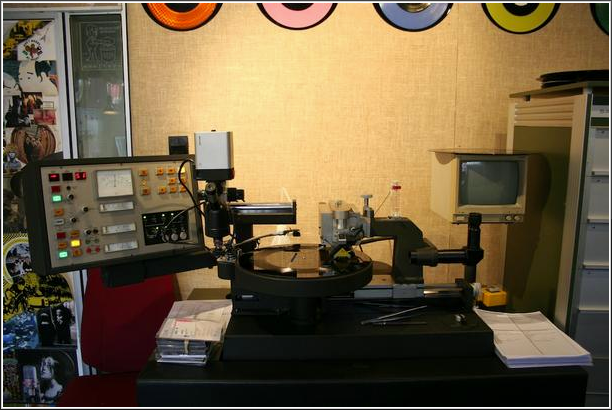 Vinyl make your WAV files sound weak, hollow and its even worse with MP3's. 4) Digital DJing is a lighting rod for very heated conversation. 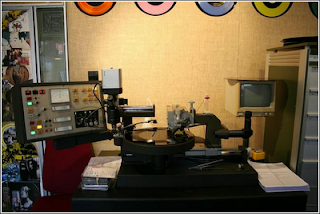 5) Don't stop mixing your vinyl as its a skill that can be lost without practice. 6) Stop looking at the freaking laptop. 10) Quoting a shirt I saw in on Amen Omen "Serato should be earned". Expanding on number 10. I agree, jet setter and controlerist have earned the usage of the digital platform. Have I? I'm not sure. Its great for Mash-Up, playing tracks I produce and amazing for helping me to organize the annex. However recently I was able to do an odd thing I feel. I built my crate of vinyl from front to back ordered by BMP and Harmonic Key. This organization allowed me to dig through my crate and craft and evening harmonically which I've never purposely tried to do. I have to give Digital DJing credit for exposing me to the theory and providing me the means start sorting my records in such a matter. • Participants, their Registered Guests get in FREE. Edward the Librarian & Freddy Wills, will be kicking off a 3 and a half hour dance explosion. 4 turntables, 2 DJ's and 1 wicked party all to to raise funds for ovarian cancer research. 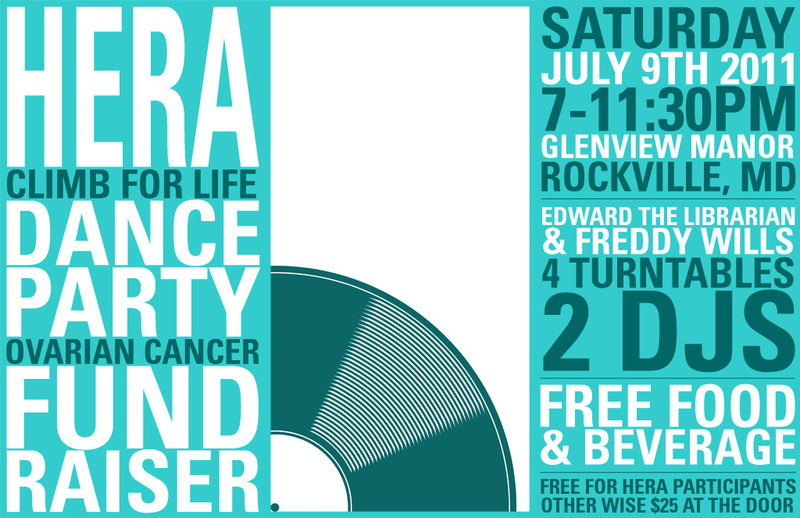 Freddy Wills & Edward the Librarian will be tag teaming with a special blend of Rare Groove, Soul, House and Mash-Ups.